How Much Are Federal Regulations Costing Us? R.J. Rushdoony: 00:01 How much are federal regulations costing us? This is R.J. Rushdoony here with a report on our threaten and freedom. According to Murray Weidenbaum, chairman of the Council of Economic Advisers, the cost of federal regulations, of U.S. consumers in 1980 was $126 billion. Billion that is, not million. In 1976 it was 100 billion. Thus, in four years, the cost of regulations went up over 25%. According to Weidenbaum, his figure of $126 billion is a conservative estimate. R.J. Rushdoony: 00:47 These regulations do not come cheaply. They cost us, every man, woman and child about $570 a year or 22 to $2,300 a year or a family of four. This is a very substantial tax on all of us. Now, let us grant that some regulations might be called necessary. However, given the prodigal and wasteful character of the federal government, we can safely assume that even the best of regulations are neither wisely nor economically administered. We can also be reasonably certain that we are often unwisely and ineptly, overregulated in many other areas, as well as over regulated where we need no regulations at all. R.J. Rushdoony: 01:43 After all, this country began, grew and became great and powerful on the premise that in virtually every area of life, the best regulatory power is freedom itself. The fact is freedom does regulate us all. It requires us to be responsible, aware of consequences and ready to live with our decisions. 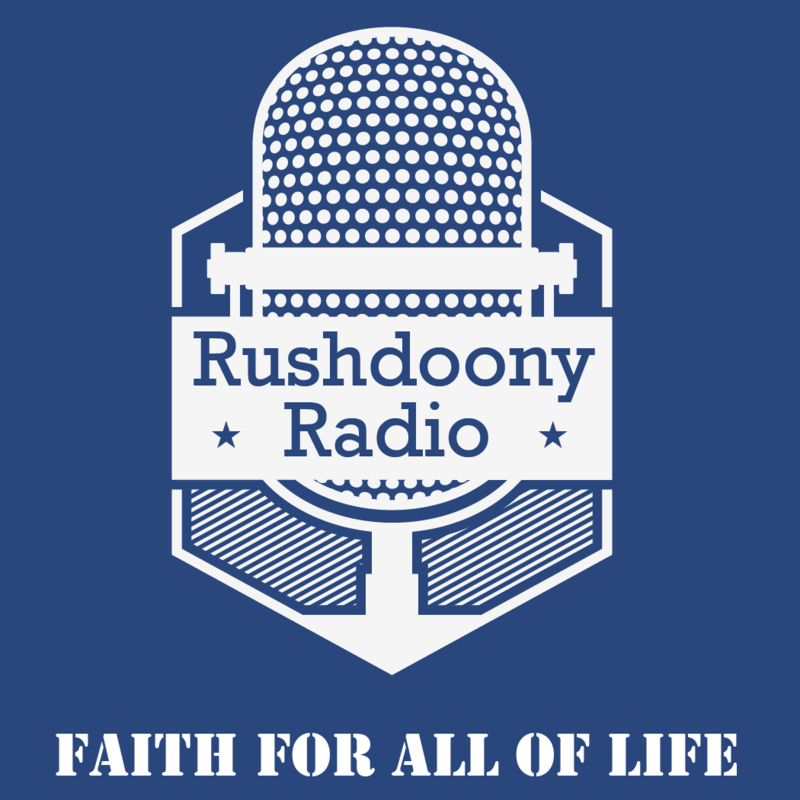 R.J. Rushdoony: 02:08 Some years ago, one immigrant woman from northern Europe told me of her experience on landing in the United States. She came from a very conservative and highly protective community. She had never made any decisions on her own. First her family and then, her husband made them all for her. On her first full day in the United States, her husband went off to look for work and she heard a knock on the door. It was a door-to-door salesman selling sewing machine. R.J. Rushdoony: 03:09 She laughed as she told me that and she said she grew up overnight, learned how to be critical and how to say “no”. For a year, she occasionally patted the old sewing machine and called it her university education. Within limits, freedom does educate and regulations over protect us. Old fashioned rugged individualism was at times, very irresponsible but new fashioned overregulation is no less reprehensible and often, much worse for the American character. R.J. Rushdoony: 03:45 Our present state of overregulation is costing us too much money, but it is also exacting a high price in character and in freedom. Basic to the present philosophy of regulations is the belief that the people cannot be trusted with freedom and that freedom is dangerous and much too conducive to public and private immorality and that freedom itself must be licensed and limited and rationed. As a result, we are turning our backs on the very thing that has made the United States a great power, the love of free. This has been R.J. Rushdoony with a report on our threatened freedom.